How hearing-friendly is your arts program? You can start by watching this video and learning to Like the Mic. Use the microphone every time. Then, here’s a guide to help you ensure your venue or space is ADA-compliant and hearing-accessible. Looking for a hearing-accessible theatre or live venue space across the U.S.? Here’s a list (223 spaces!) updated February 28, 2019. Jerry Bergman, Get in the Hearing Loop National Campaign task force member, ensures this list is accurate and up to date. The new FWPAEC is looped. Watch a video about the loop (with an interview from our founder, Cheri Perazzoli), and check here and FWPAEC’s website regularly for looped events in rock, pop, ballet, modern dance, comedy, and more. 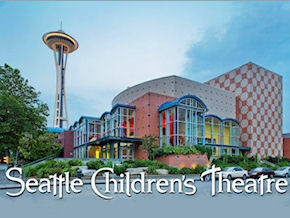 Both Seattle Children’s Theatre venues are looped. Seattle’s ACT uses the Figaro MobiTxt in-seat captioning system. Fifty tablets are available for check-out from any staff member; if you reserve them in advance at service@actttheatre.org, they’ll be set up and ready to go at your seat when you arrive. You can use the MobiTxts from any seat on Tuesday and Friday night mainstage shows, plus Thursday and Saturday matinee shows. Make sure the performance will be captioned when you buy your tickets. Look for performances listed as “captioned” on the ACT website. Watch the instructional video with Josh Castille for more info. Tickets are on sale for ACT’s 2019 season, which includes Romeo + Juliet, Pass Over, the Year of Magical Thinking, and Dracula. The Taproot Theatre‘s Jewell Mainstage is looped. Note: when you buy your tickets at Taproot, check this Taproot Seating Chart for Best Loop Performance to make sure you are seated in an area optimum for hearing clearly through the loop. December 1, 2018, update: The Taproot is troubleshooting problems with their loop. They’re hard at work to improve the sound and reduce feedback. We’ll update you when we know more. Bellevue Youth Theatre (BYT) now has a hearing loop. Visit BYT for show details and ticket information. Performances generally happen in the spring of each year; tickets are $10-15. This Mercer Island center has a unique loop in its retractable seats designed and installed by Spencer Norby. Stroum’s programs range from comedy and theater to movies and lectures. Everyone is welcome. The Rep is now looped in both the Bagley Wright and Leo K Theatres. Check out their preview for their 2018-2019 season, which includes The Woman in Black, Tiny Beautiful Things, and Nina Simone: Four Women. The Rep also has open-captioned shows on the first Thursday evening of regularly scheduled shows in both the Bagley Wright and Leo K. Theatres. Check their website for final dates. The Everett PAC is now looped! The loop should work in all performances. The Francis J. Gaudette Theatre has a hearing loop, and all Village Theatre Issaquah and Everett performances will be looped. Village Theatre has announced its 2018-2019 season, which includes Million Dollar Quartet, I Do! I Do!, and The Noteworthy Life of Howard Barnes. The Whidbey Playhouse in Oak Harbor is looped. Anacortes Community Theatre is looped. Call the box office for tickets (360-293-6829) or stop by. www.townhallseattle.com for information and tickets. Most tickets are just $5. This hearing accessibility is a fantastic gift to Seattle. A treasure trove of music, literary, civic, and entertainment events await everyone, regardless of their ability to hear. The Driftwood Players installed a loop in December 2017. Tickets are now on sale for their 2018-2019 season, which includes Something’s Afoot, Peter and the Starcatcher, and The Addams Family. Open-captioned performance show times vary. Double-check your tickets. For their 2018-2019 season, the 5th Avenue is combining ASL and open-captioned shows. Sennheiser Listening System headsets are available. Headsets are complimentary, but subject to availability. You may reserve a headset when you purchase your tickets. To reserve your headset, visit the Box Office, call 206-625-1900 or 888-5TH-4TIX (voice), or e-mail ticketing@5thavenue.org. The Hearing Loss Association of America–Washington (HLA-WA) has season tickets to open-captioned performances at the 5th Avenue. Download a request form and send it to loopseattle@gmail.com. Visit The 5th Avenue Theatre for more information. Most open-captioned performances are Sundays at 6:30 pm. Check your tickets. Accessible seats can be purchased in person, by phone, or online at The Paramount Theatre’s accessible ticket page. Sennheiser infrared listening devices are available free, first come, first served. Visit The Friends of The Paramount booth, just inside the main lobby. Visit Seattle Theatre Group for more information. The Hearing Loss Association of America–Washington (HLA-WA) has season tickets to open-captioned performances at the Paramount. Download a request form and send it to loopseattle@gmail.com. The Edmonds Center for the Arts sometimes offers CART performances and uses an IR assistive listening system. Reserve an iPad to view captions. Check out an IR headset at the Box Office. Ark Lodge Cinemas offers open-captioned movies, for select films, on Tuesdays, generally the first Tuesday following a Friday opening. Check the theatre for movies and times. Ark Lodge also tells us they have USL closed-caption devices available for all titles that support it, and then if CC is not available, it’s noted as soon as they’re aware. They offer the CC devices as display style (mounted on seats) or the glasses style (projects captions on the lens). Anacortes Cinemas offers open-captioned movies. Check with the theatre for movies and times. The Edmonds Theater shows open-captioned movies every Sunday–the first show, or generally the 3:30 show. Check the theater for times and confirmation. The Grand offers subtitled movies, when available, on Wednesdays. Check with the theatre for movies and times. Enjoy captioned outdoor movies at the Seattle Center Mural Amphitheater in summer 2017. The Oregon Shakespeare Festival offers open-captioned performances via a tablet device at patrons’ seats. You must reserve these devices two weeks in advance. Please call the Box Office at 800-219-8161 or 541-482-4331, OTRS 711, or email to boxoffice@osfashland.org. Visit Oregon Shakespeare Festival’s website to purchase tickets and for further information. The first Friday of each month, the Bellevue Arts Museum has free entry to its exhibits, along with a hearing accessible First Friday Talk in the looped auditorium. Other BAM events are looped as well, so check their calendar regularly. Northlake Unitarian Universalist Church in Kirkland features a Meaningful Movie night every third Friday of the month at 7:00 PM. Screenings are looped, free, and open to the public. For more information, visit Northlake UU Church’s website. Seattle City Council chambers are looped. And the Bertha Knight Landes Room just received its loop in September 2017. Check the City Hall website for information on city council and committee briefings and meetings. Do attend and make your voice heard, and be sure to thank them for their leadership. The City of Bellevue’s City Council Chambers and Council Conference Board Room (1E-113) are looped. Check Bellevue’s webpage for information on council briefings and meetings. Read the City of Bellevue’s April 2016 memorandum announcing and detailing the new communication access.